Exmoor is a large upland area on the north coast that is in both Devon and Somerset. It is named after its main river the River Exe. It is a large area that is approximately 260 square miles and includes 34 miles of coastline that have some of the highest cliffs in the UK. Like Dartmoor it has protected National Park status. 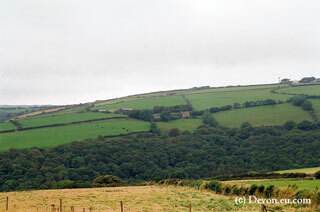 Exmoor has a number of stories and legends based there including the novel Lorna Doone. Exmoor has the timeless appeal that brings visitors back year after year to enjoy its beauty and atmosphere.